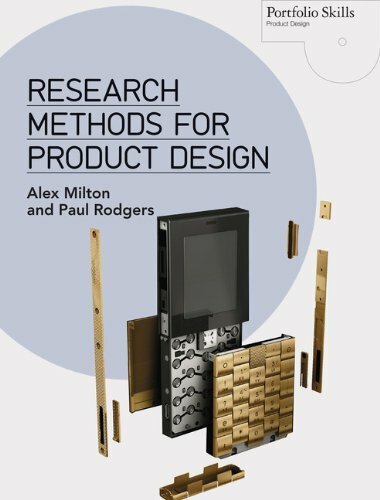 This new book provides the reader with a comprehensive, relevant, and visually rich insight into the world of research methods specifically aimed at product designers. It includes practical case studies and tutorials that will inform, inspire, and help you to conduct product design research better. Product designers need a comprehensive understanding of research methods as their day-to-day work routinely involves them observing people, asking questions, searching for information, making and testing ideas, and ultimately generating ‘solutions’ to ‘problems’. Manifest in the design process is the act of research. Huge technological advances in information, computing, and manufacturing processes also offer enormous opportunities to product designers such as the development of “intelligent” products and services, but at the same time raise important research questions that need to be dealt with. Product designers are, in many ways, best placed to address these challenges because of the manner in which they apply their design thinking to problems. Published in English and Spanish editions.